Hi! Its Meghan from Cupcakes with Sprinkles! 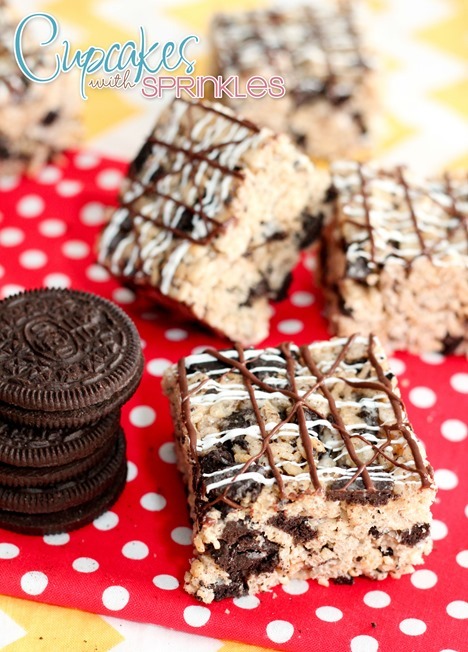 Today’s treat combines 2 of my all time favorite things, Oreos, and Rice Krispie Treats. 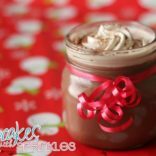 I cant believe I didn’t think of this before, they’re so easy and they go together perfectly! 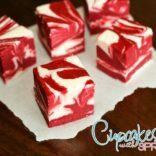 My kids love them and who am I kidding, they are delicious. 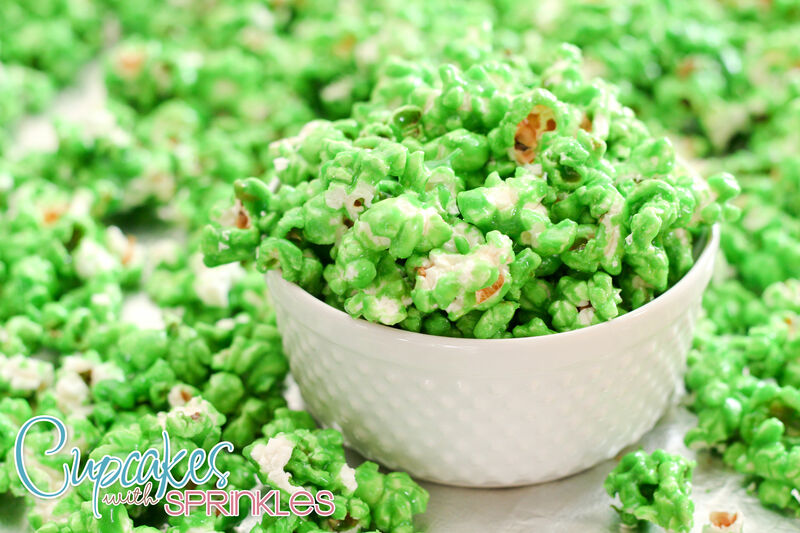 Use mint Oreos and a little food coloring and they’d be a great St. Patricks Day treat too! 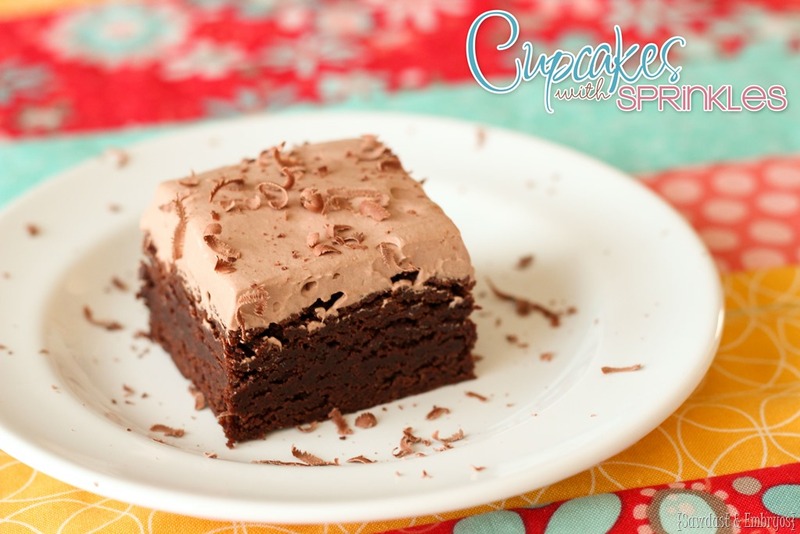 They’re sweet, crunchy, and just a little sticky. 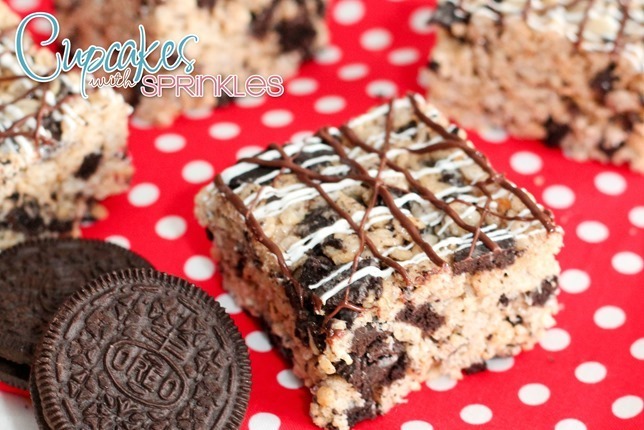 Just the way Rice Krispie Treats should be! So lets make them! 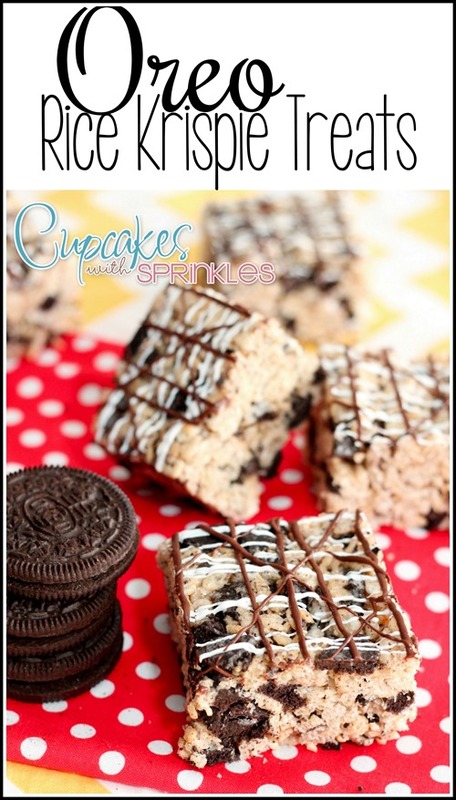 Pour the melted marshmallows over your Rice Krispy/Oreo mixture and mix until everything is coated. Press into your prepared pan and let cool. Spray a 9×13 pan with non-stick cooking spray. 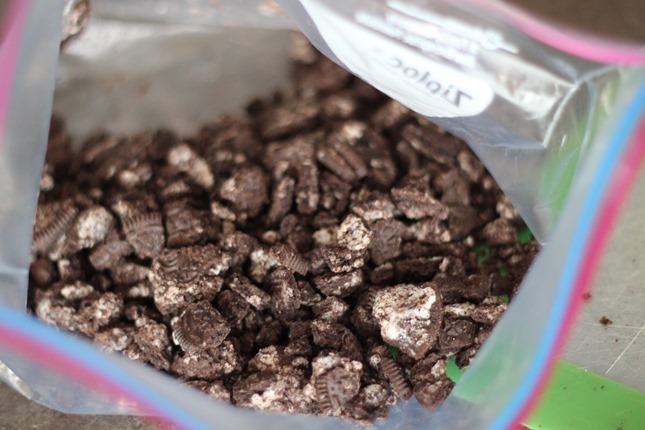 Chop up 20 Oreos. 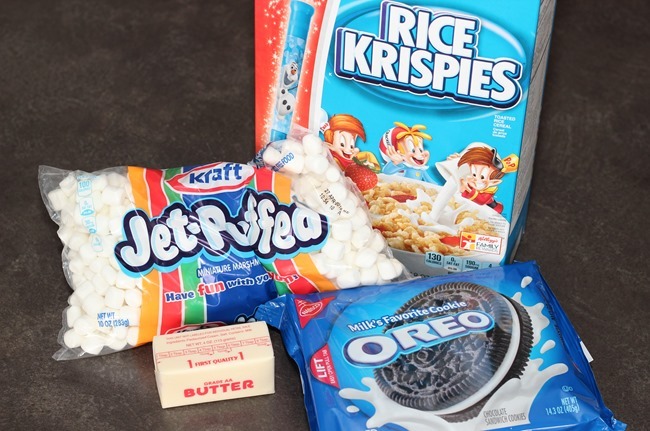 Place the chopped Oreos in a gallon Ziploc bag and whack with your rolling pin. You want some big pieces and some crumbs. 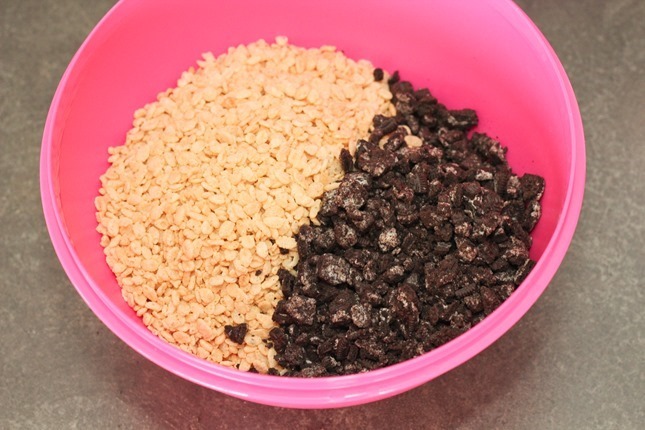 In a large bowl, measure out your Rice Krispies, add in your Oreo’s, and mix together. 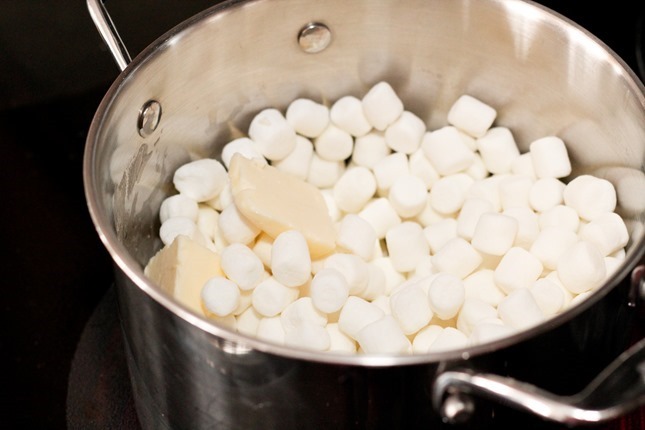 In a medium saucepan on the stove over medium low heat melt the butter and marshmallows. Stirring constantly until all of the marshmallows are melted. 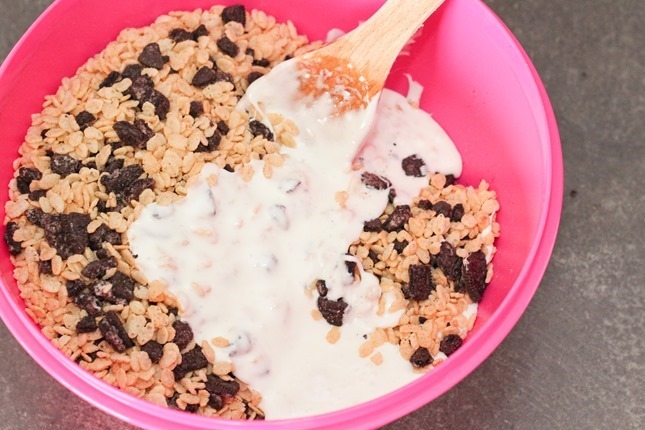 Pour the melted marshmallows over your Rice Krispie/Oreo mixture and mix until everything is coated. Press into your prepared pan and let cool. « Non-annoying Gifts for one year olds!